FILE - Farmers work at a rooftop vegetable garden of an industrial building in Hong Kong, March 18, 2018. WASHINGTON — Rainwater is essential for life. It helps plants and food crops flourish, and it keeps grasslands green and lush. But too much of it, especially in the city, can lead to flooding, causing sewers to overflow and carry pollutants and contaminants to nearby streams and waterways. To combat the problem in urban areas of the country, a growing number of cities across the U.S. are initiating programs like rooftop gardens. 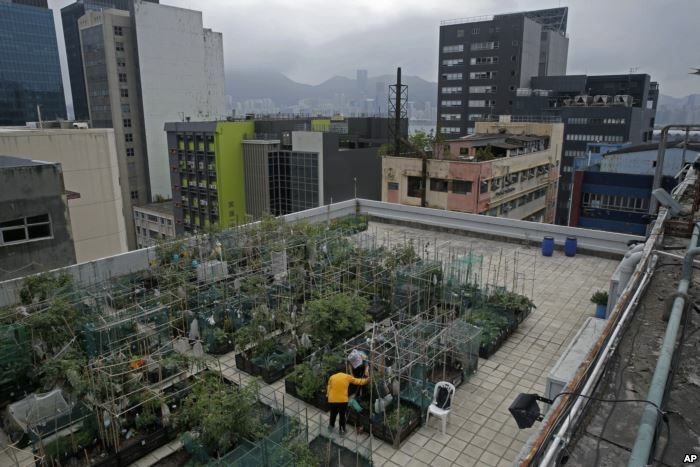 FILE – Farmers work at a rooftop vegetable garden of an industrial building in Hong Kong, March 18, 2018. 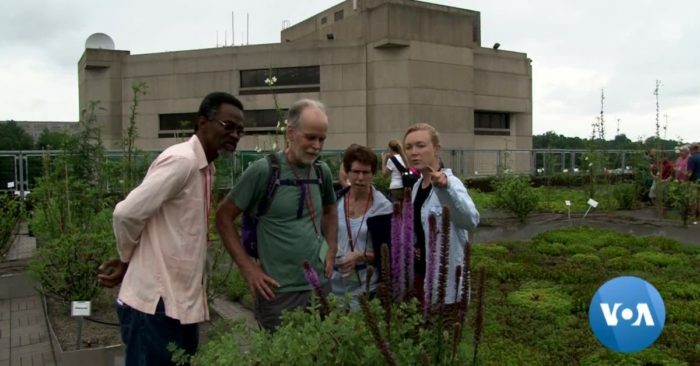 To help with that initiative in the nation’s capital, a team at the University of the District of Columbia has created a rooftop garden on campus with a wide variety of vegetation to help absorb excess rainwater and grow food at the same time. 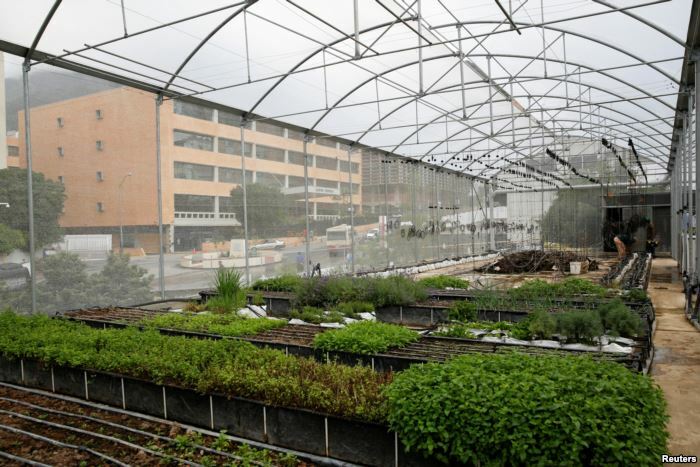 “It took advantage of a resource above the city that you see all over where you have these flat roofs that aren’t doing anything and really made it into something that was about urban agriculture,” he said. Rainwater is distributed through an irrigation system and collected in cisterns for the rooftop garden. It is also used in other parts of the campus. The result is a picturesque sea of green vegetation and patches of brightly colored plants and flowers that attract pollinating insects and other wild creatures. FILE – Men work in a greenhouse on the rooftop of a building in Caracas, Venezuela, June 22, 2016. The project, she points out, is part of a research initiative to see which plants are best suited for rooftop environments, both for food as well as pollination. They include hibiscus, strawberries, tomatoes and sweet potatoes. “We have the same experiment running with tomatoes as we do with strawberries, so we’re doing variety trials and we’re trying to see which variety grows the best in a green roof setting,” she said. She pointed out that plants grow in a variety of different systems on campus, not just on the rooftop. 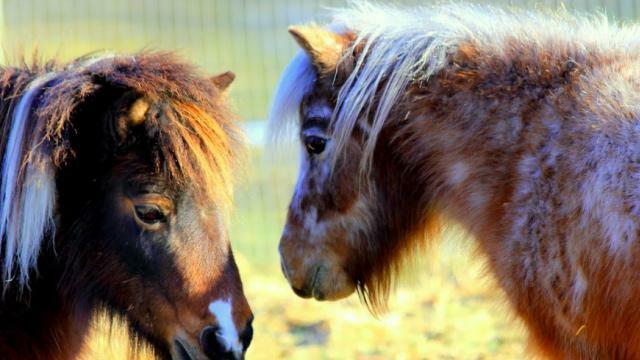 “So bringing fresh food into cities where you wouldn’t necessarily have that access,” she said. And that includes produce for immigrant members of the community as well. “In the U.S., it may not seem very common to use hibiscus leaves and sweet potato leaves as food, but in many places around the world it is,” Arlotta said. She says she’s been surprised by the garden’s bountiful harvest. “We produced 4,250 pounds (about 1,928 kilos) of produce the first year and were able to disseminate that to people in need,” she said. Grateful recipients included a number of area food banks and charities. Another benefit, Bandier says, was being able to show D.C. residents and people beyond the nation’s capital what — and how — food can be grown on a rooftop. While D.C. is home to one of the largest numbers of green roofs in the country, not all of them are designed to grow food. Architect David Bell hopes that over time, that will change. “I’d like to see this becoming more of the standard, where people design and build buildings with farming on the roof, with the ability to actually go up there and enjoy it and have a better connection to nature, but also to provide better fresh food to people in urban areas,” he said.